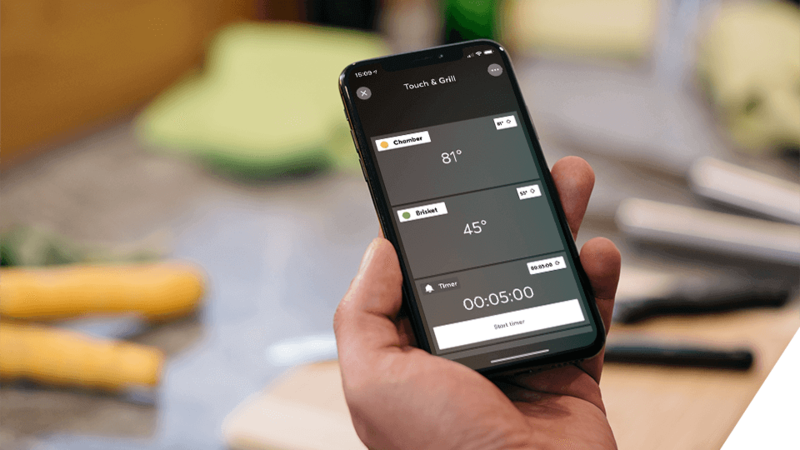 With the first barbecue thermometer developed specifically for smart homes, it’s not only about perfectly grilling those steaks...there's so much more functionality waiting to be discovered. 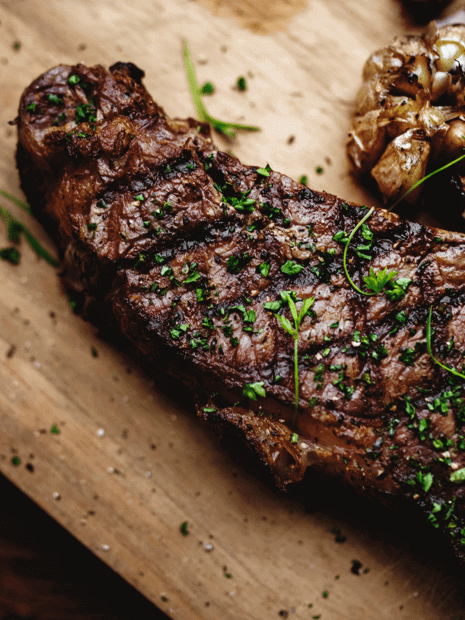 All those who’ve left a fine piece of meat on the barbecue for too long, knows all too well that every moment counts when it comes to getting that lean piece of meat cooked to perfection. 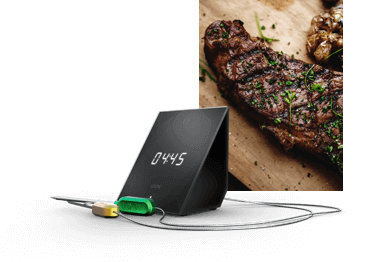 The Loxone Touch & Grill brings out your inner chef every time you slap a steak, chop, drumstick or burger on the BBQ. That said, the Loxone Touch & Grill is much more than just what the name suggests. 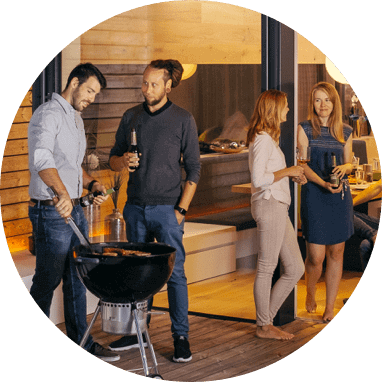 It is the world’s first barbecue thermometer that is developed for a Real Smart Home. “Medium rare” is, from now on, no longer down to chance. 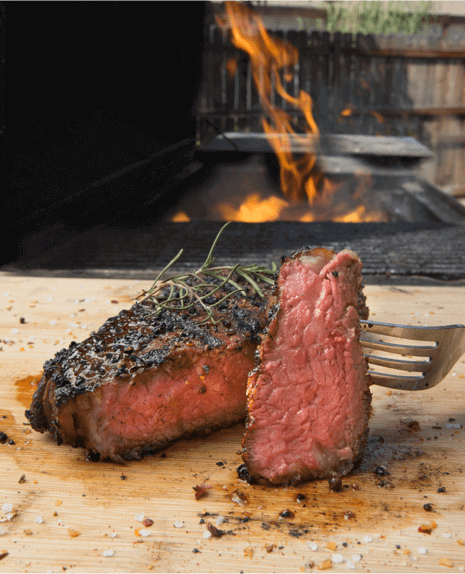 Discover a smarter way to barbecue! Simply take the Touch & Grill with you to your friends. 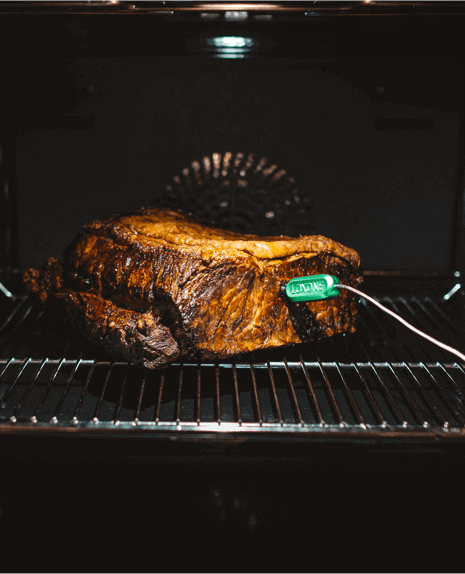 Thanks to its extensive stand-alone functions, you’ll never have to deal with under or overcooked meat again. It’s guaranteed to be the highlight of every barbecue however you might have to get used to the envious looks. 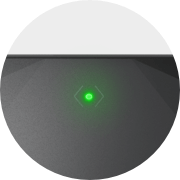 Impressed and keen to know more about the possibilities of the Loxone Touch & Grill? 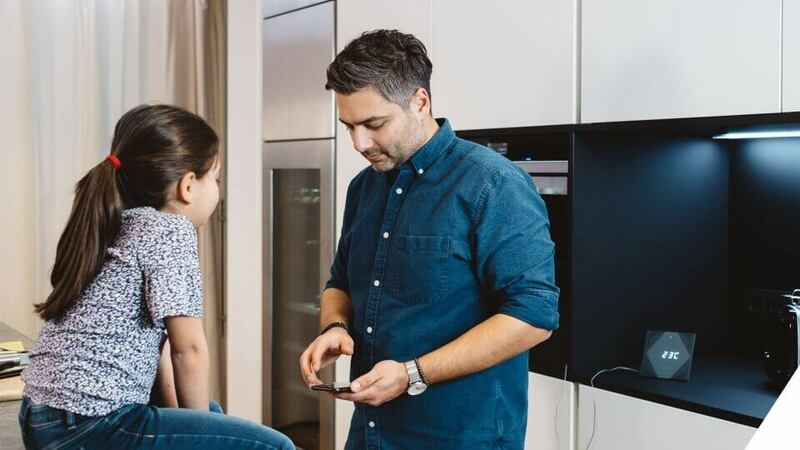 Why not book yourself a free product consultation with one of your smart home experts. 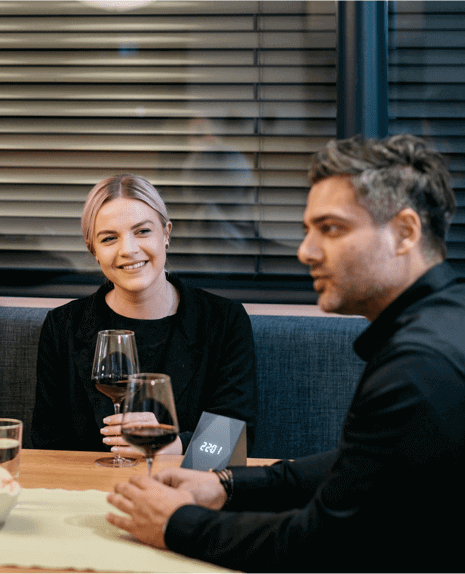 We would also be more than happy to discuss more than just smart cooking. 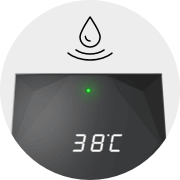 The colour coding of the temperature sensors and the corresponding sockets makes using the Touch & Grill incredibly easy. 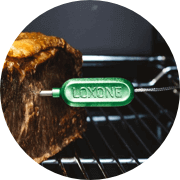 Then once the sensors are in the measured temperature will be immediately displayed in both the Loxone app and on the Touch & Grill. The user interface of the Touch & Grill is made of high-quality, hardened glass. A gentle touch is sufficient for operation. 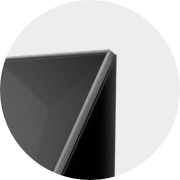 The satin finish is achieved by the ceramic finishing of the glass surface. Fingerprints will remain invisible. 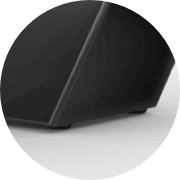 Due to the high-quality materials used in the Touch & Grill, it is incredibly durable. In addition, it is also UV resistant. Meaning that it is perfectly equipped for outdoor use. 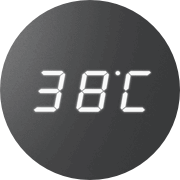 The digital display can show the time, the temperature of the two sensors and how long left on your timer. 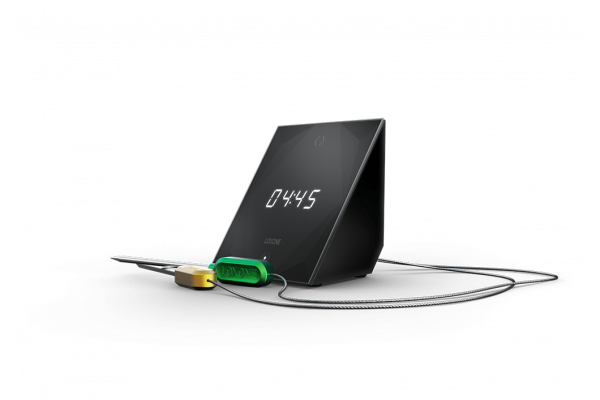 The display can be set to be permanently active or it can switch to standby mode when not in use. 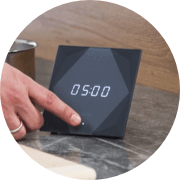 The brightness of the display can also be customised, so it is visible in all lighting conditions. With a short tap on the upper middle button the digital display can be toggled. 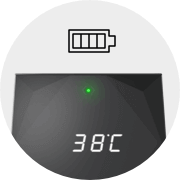 The two coloured LEDs indicate which temperature is currently being displayed. The Touch & Grill can be turned on and off here with a long press. If one of the two target temperatures is exceeded or not reached, an acoustic alarm will play from the Touch & Grill. You will also receive an instant notification on your smartphone so that you are informed wherever you might be. 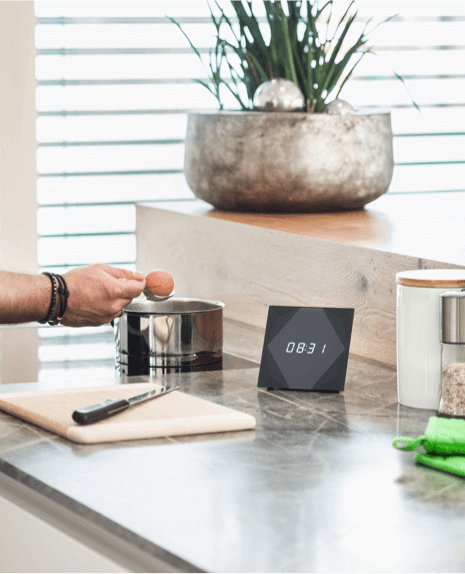 Your home can tell you when your food is ready via the Loxone Music Server. The lower middle button starts the timer. 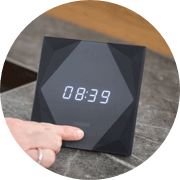 Press and hold to bring the timer up then set your desired time using the four corners of the device. If you wish to stop the timer early simply press and hold here again. 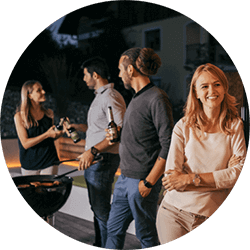 The Touch & Grill has an integrated rechargeable battery, so nothing will stand in the way of your barbecuing fun. 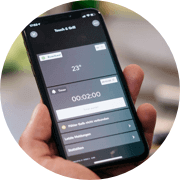 The long-lasting battery can go several days without needing to be charged and you can check the battery level in the Loxone app. Thanks to the high-quality workmanship and the selection of exclusive materials, the Touch & Grill has an extremely premium finish. It’s also very practical with rubberised feet providing the Touch & Grill with a stable base. 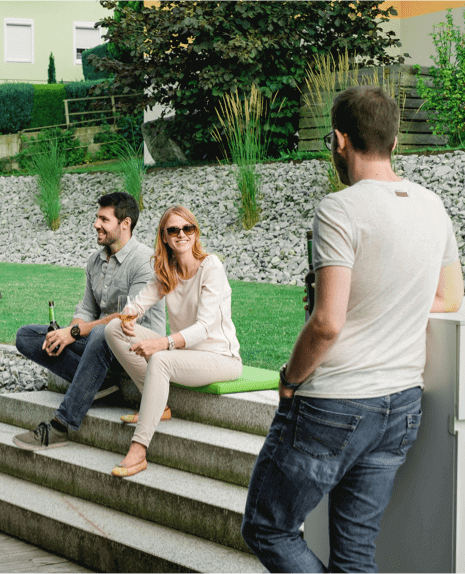 The Touch & Grill is equipped with Loxone Air technology which means that, coupled with the know-how of a Loxone Partner, it can be installed with minimal effort. The combination of Air Technology and the long-lasting battery means that the Touch & Grill can be used wherever and whenever you wish. The temperature sensors are colour coded so you always know which measurement is being displayed. 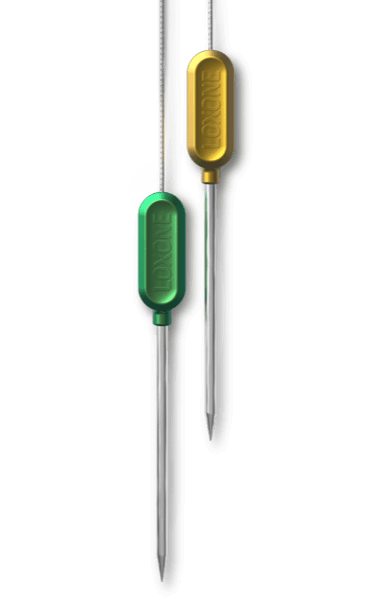 You can also purchase separate temperature probes directly through our store, should you ever misplace one.